Bring a coat. Even in the summer heat, it's cold year round inside of the market. Even colder by the freezer area. Pickup shopping cart in parking lot. Small red shopping cart inside entrance way. ALWAYS CROWDED: Be courteous, avoid confrontations. Its a tourist attraction, where people from all over the world are shopping, and not everyone has the same customs of politeness. “Having children has changed our lives more than anything else,” they wrote. “We used to think of health as a diet – some worked for us, some didn’t. Once we looked at health as the truth, instead of a diet, it became a mission for us to share that truth and lifestyle with as many people as possible.” _ The couple share daughter Blue Ivy, 6, as well as twins Rumi and Sir Carter, 18 months. Some misbehaviors can be attributed to food allergies interferring with normal bodily functions. Or hormones in the foods increasing early maturity of the body physically, but not mentally. The elderly have forgotten how to make big pots of soup. The youth are not familiar with soup as a main meal. Soup was all we had, and we were healthier. No diabetes, no dementia, lower risks of cancers, etc. With diabetes increasing in children our young and old can benefit from learning how to make better choices and think about eating to live with healthy and delicious foods. 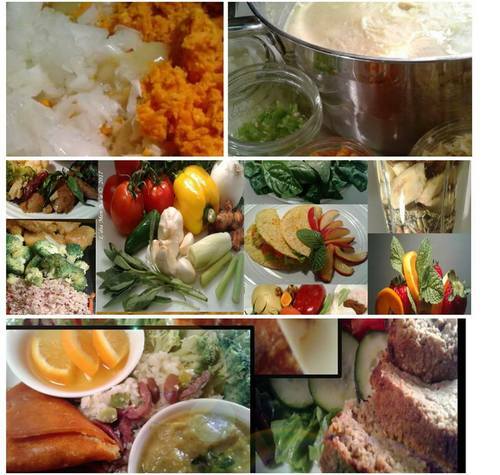 The nutritious healthy vegetarian way is also economical for families. Use this app for comparing prices of items before you leave your home. You may save money on gas and food. Basket lets you compare in-store and online prices, today locally. You’ll see updated sales and coupons too. bottom of this page "BEHAVIOR AND HEALTH". Click here to view entries. The day one was born offers understanding of youthful natural gifts, character strengths & weaknesses under the age of 30. These will help one’s Life's Path Purpose after maturity. 1st indicator for: emotions, hobbies, food & oils. Total of D.O.B. Identifies character strengths, weaknesses, & talents to develop & used for one’s work during maturity past the age of 30. An area to look at for true friendship. [_] you are responsible for what, when, and where your child eats; your child is responsible for how much and whether to eat or not. [_] lead by example with nutrient-dense food choices regularly. [_] using cookie cutters to create new shapes can be a great way to spark your child’s interest in the food and an opportunity for fresh conversation at the family table. Healthier ways of eating helps us to handle the difficulties and pressures of the outside world and see them as challenges that energize rather than depress us. The flexibility of our thinking is affected by the flexibility of our bodies. A more balanced way of eating includes: fruits, vegetables, sea vegetables, herbs, and some grains. These foods can be eaten in soups, stews or smoothies. Choose from the list of the best vegetables. Round vegetables include the fall and winter squashes, cabbage, and onions, these effect the heart and stomach centers. These vegetables will help to stabilize the level of sugar in the blood. MAKE A LIST OF FOODS YOU WANT TO BUY FROM THE MARKET. Please include at least one from your vibrational food list to try.